Like many I was raised on the Tim Burton and Joel Schumacheur Batman films of the 80s and 90s and they still hold a special place in my heart (even Batman & Robin - where was Schwarzenegger's Oscar?) Eventually I grew to discover and adore the camp of the Adam West television series and feature film. However, one must admire the Christopher Nolan Batman films which have completely disregarded the camp reputation of the series and transformed the filmic Batman into a dark, realistic, politically relevant and grandiose statement. Fortunately, The Dark Knight Rises maintains the high standard of Nolan's previous two caped crusader features and provides us with a truly epic, perfect conclusion to a magnificent series. The Dark Knight Rises picks up eight years after the events of The Dark Knight, in which time Bruce Wayne (Christian Bale) has been a recluse, hanging up his cape. However, after vengeful terrorist, Bane (Tom Hardy) hijacks a nuclear reactor with a plan to flip Gotham's balance of power, Wayne must once again step up and protect the city. 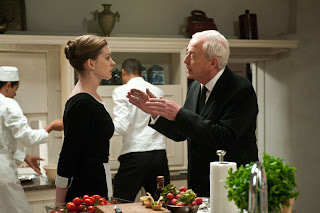 He is aided by feisty cat burglar, Selina Kyle (Anne Hathaway) and hothead cop, Blake (Joseph Gordon-Levitt) as well as regular allies Lucius Fox (Morgan Freeman), Commissioner Gordon (Gary Oldman) and faithful butler, Alfred (Michael Caine). Once again, Christopher and Jonathan Nolan present us with an precisely crafted and intricate script - resulting in a layered viewing, where narrative elements fall into place flawlessly. Capturing ambitious themes such as the blur between good and evil in society, The Dark Knight Rises is as grand thematically as it is narratively and technically. Watching the madness slowly overrun Gotham draws some parallels with the Scarecrow's plan in Batman Begins, but is nonetheless truly fascinating. This allows for a somber tone to take over - Batman is overpowered and broken down both physically and mentally by Bane, with ties between he and his loved ones pushed to breaking point, he is truly a tortured hero. This stark tone makes for a truly emotive watch, the viewer feels the hopelessness that faces Gotham, which is perfectly contrasted with Batman's slow rise back to power. Nolan knows how to grab the viewer in a vice-like grip and has arguably created the most emotionally involving Batman feature of all time - a far more ferocious and focused entry than its predecessor, The Dark Knight. 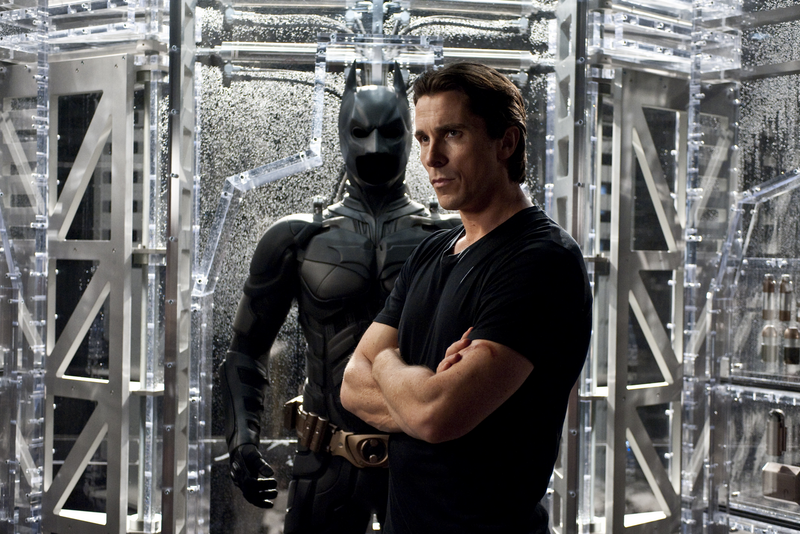 The Dark Knight Rises allows for Christian Bale's finest portrayal of the character yet. Bale channels Wayne's emotional and physical challenge with ease with the character being without mask for the most part of the film, blatantly reminding us that the Batman is after all human. Tom Hardy brings the character of Bane to life, a terrifying foe that proves a savage opponent to Wayne. As Batman villains go, Bane is not particularly exciting (a strong man with a growling voice) but Nolan brings a sense of depth and gravitas to the part, excellently channeled by Hardy. Anne Hathaway's Selina Kyle may feel more light-hearted in comparison to Bane, but the actress brings a sense of much-needed fun to the proceedings with some clever one-liners and glamour. 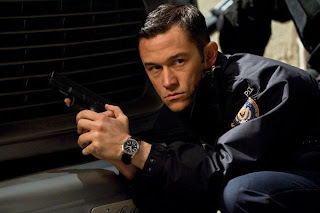 However, it is Joseph Gordon Levitt who completely compels with this staggering, pitch-perfect performance as idealistic young cop, Blake. The young actor is truly outstanding. Batman regulars Gary Oldman and Morgan Freeman's roles feel expanded from previous entries with the two character actors proving utterly captivating to watch. Fox and Gordon lead a resistance movement in a Bane-held Gotham alongside the excellent Marion Cotillard, giving the pair a chance to play a larger part in the narrative. Michael Caine's Alfred may feel somewhat underused compared to previous entries, however this is Caine's most emotionally raw performance in the role. The actor brings a staggering subtlety and power the character, especially in the features' heart-wrenching conclusion. Without resorting to spoilers, all that can really be said is that The Dark Knight Rises conclusion is a magnificent ending to a phenomenal series of films. Potential for a renewal is there but with a finale as well crafted as this, it may be a perfect time to say goodbye to Nolan's Batman world. Although wouldn't it be nice to take a trip back to Tim Burton territory? The Dark Knight Rises lives up to the hype, proving to be a staggering conclusion to Nolan's Batman series. The intricacy of the script alongside its sheer emotional power and staggering performances help The Dark Knight Rises stand out as one of the finest superhero features ever made.